You made our 2018 Membership Drive a SUCCESS! Thanks to you, our members and donors, we are pleased to announce that we reached the $14,000 annual fundraising goal that is required to maintain our public 501(c)3 nonprofit classification. In addition to our much-appreciated, dedicated members who renewed their annual Sustaining, Family, or Individual memberships, we're excited to report that we have welcomed several new CSVW members, including two new Lifetime Memberships at $2,000 each. YOUR CHAPMAN SANCTUARY AND VISNY WOODS MEMBERSHIP IS JUST A FEW CLICKS AWAY! We are so grateful to our longtime CSVW supporters and neighbors, George and Nancy Bates, for their ongoing support of our mission. The Bates’ acquired and conserved about 68 acres of property abutting CSVW specifically to enhance and grow our existing 10 miles of trails, which further connect to trails in the White Mountain National Forest. Their generous donation to CSVW has allowed us to offer visitors an incredible network of trails to enjoy year-round. Our trail maps have been updated and are available at the sign-in kiosk. The Autumn 2017 issue of the Society for the Protection of New Hampshire Forests / Forest Notes newsletter article profiled George, an avid cross-country skier, and his dedication to land conservation. We are deeply saddened to share the news that George passed away on Monday, Feb 19th. Nancy tells us that he had spent the past three days cross country skiing the trails, enjoying the beauty of the woodlands that he loved. It’s important to note that George was instrumental in helping CSVW to move from a private 501c3 nonprofit organization into a public 501c3, an accomplishment that would not have been possible without his guidance and advice. He is greatly missed, and his legacy will live on at CSVW. Please take a moment to read the Forest Society’s Forest Notes article below: Trails Champion is all about Connecting: Easement Protects 68 Acres along Cold River by Brenda Charpentier. For evidence, look no further than a beautiful forest next to the Cold River that Bates and his wife Nancy have recently bought and protected by donating a conservation easement on it to the Forest Society. It’s the fifth easement they have donated in the Sandwich area, all with the goal of connecting trail systems and making sure they remain open for skiing and other minimal- impact recreation. Bates is a businessman who at 85 continues to work as president of a packaging company in Massachusetts and in March completed a 33.5-mile Nordic skiing race up and down two mountains in Norway called the Birkebeiner. You could say he knows how to go the distance. That includes his decades of work in land conservation. His latest project, completed in September, protects 68 acres along the Cold River and was the second easement donated to the Forest Society (he also works with other conservation groups). In 2013, the Bateses conserved another 58 acres with the Forest Society, also along the Cold River in Sandwich. While the protected Cold River frontage is a highlight of these properties from an ecological standpoint, for Bates both projects are all about the trails. By purchasing and conserving the first property, he was able to connect trails and ensure access to some of his family’s favorite skiing trails around Young Mountain, all the while keeping those trails open to the public as well. Bates acquired and conserved the more recent property in order to connect to trails on the abutting Chapman Sanctuary and Visny Woods, where 10 miles of trails connect to those on the White Mountain National Forest. George and Nancy live in Weston, Mass., where he is very active in the Weston Forest and Trail Association. A long relationship with the Forest Society began back in the late 1980s, when Bates acquired his first Sandwich property, 106 acres protected by a Forest Society deed restriction, in order to provide recreational access to the Flat Mountain Pond Trail from Whiteface Intervale Road. He secured this access to the popular trail -- with connections to the Guinea Pond Trail -- by providing a right-of-way across his land to the U.S. Forest Service. He and Nancy liked the area so much they had a house built on the property, which has become their base for long-distance skiing and trails building. “It’s a beautiful river, and it’s nice to see it and hike along it, but my primary reason was to connect the trails,” Bates said. You can read the full Autumn 2017 Forest Notes magazine online via their website. ​The Bates article begins on page 29. 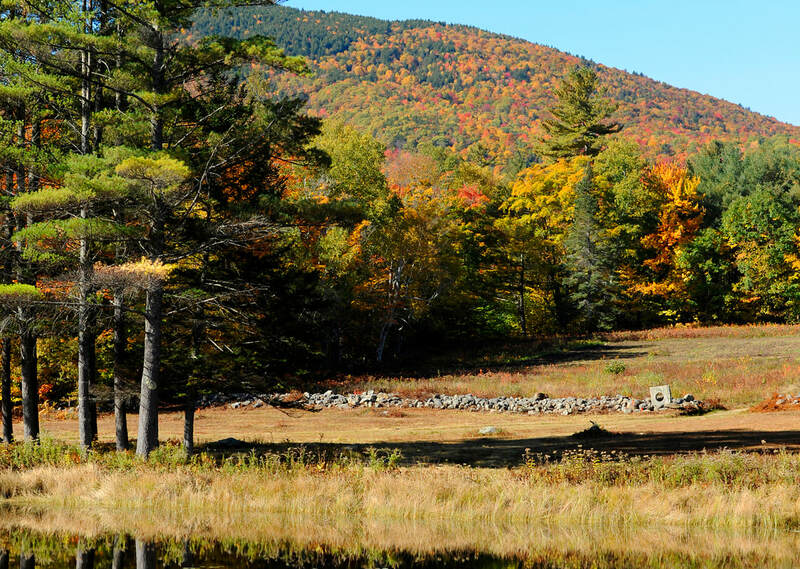 Established in 1955, Chapman Sanctuary and Visny Woods (CSVW) operates as a not-for-profit nature, bird, and wildlife sanctuary in Center Sandwich, NH. 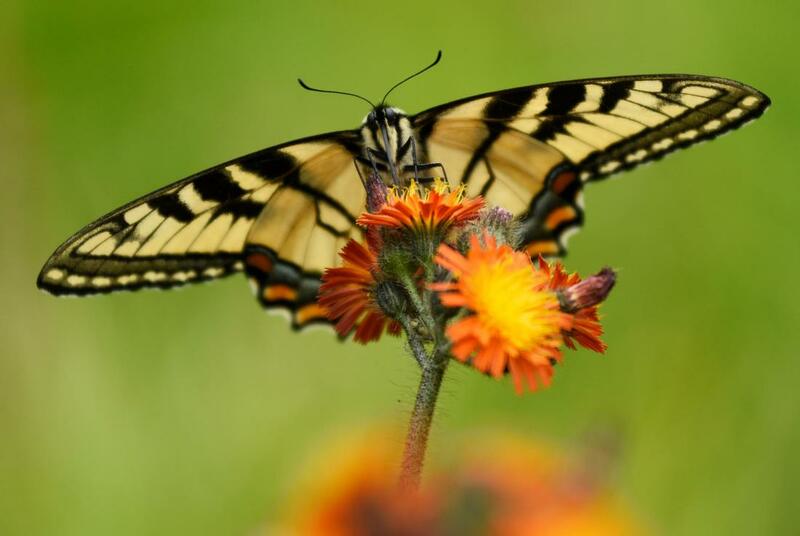 It is a place for children, families, and adults to connect with nature and explore wildlife in their natural habitat across more than 225 acres of woodland trails, meadows and streams, of which CSVW owns 114 acres. CVSW is open to the public year round from dawn to dusk free of charge, and depends on individual donations and grants for financial support. CSVW property abuts White Mountain National Forest land and is home to a wide variety of birds and other wildlife. Our gardens and woodlands are a photographer’s dream, and we have picnic tables for you to enjoy your lunch. 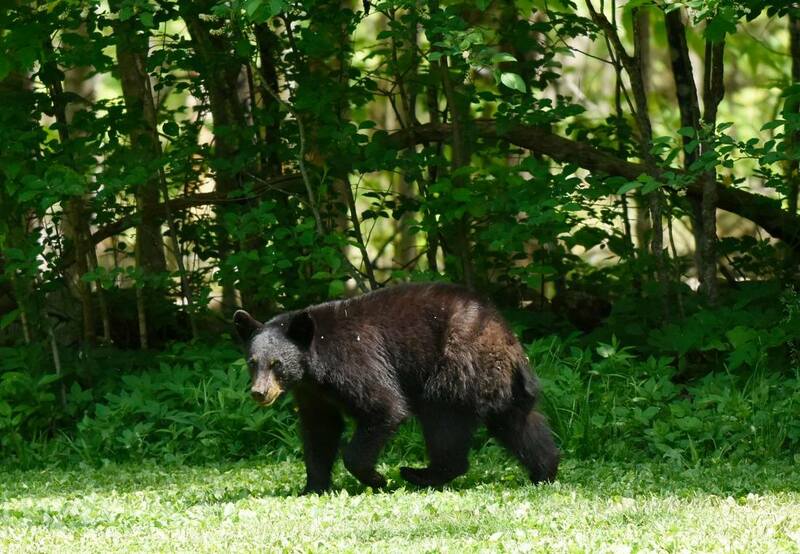 At any given time, visitors enjoying our 10 miles of walking trails, meadows, and perennial gardens may observe or encounter fox, bear, moose, deer, beavers, otters, turtles, woodland animals, and dozens of wild bird species in their natural habitats. Points of interest, including the 300 year old hemlock “Witness Tree” on the Cold River, are marked with permanent Information Stations. 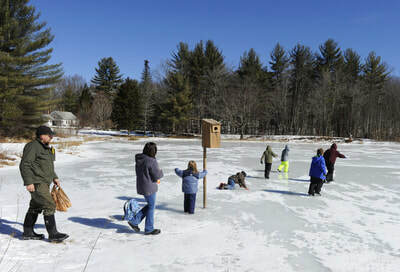 Educational activities led by New Hampshire nature, bird, wildlife, and habitat specialists are offered throughout the year.